Let’s talk about why, instead of being caressed by the gentle hands of slumber, I’m sitting at my computer at 23:30 on a Thursday night, giddy with the joy of boardgaming. I should be hearing the quiet drone of midnight traffic, fighting for the duvet with a Yorkie who thinks she’s a Labrador puppy. But I’m driven to etch these thoughts on digital paper, before they’re claimed by the witching hour. What’s spurred this sudden burst of creative energy? I just finished playing Cyclades for the first time. I lost, as usual. The game lasted a tad longer than it probably should have, but as I stood in the bathroom brushing my teeth (which is as good for clarity of thought as a hot shower is), I was struck by how unique the the journey through a great boardgame is. There’s that initial sense of trepidation that always accompanies a new game – how am I going to retain the rules being explained to me, how am I going to make sense of the cryptic iconography, am I going to make a decent account of myself? Then, like a symphony, the first notes sound and I marvel at the design and at the components, unexplored maps and finely detailed miniatures and evocative art – an overture to what I sense will be a mellifluous stream of improvised notes. At first, this instrumental is a burst of jazz, a whirl of tempos changing as I attempt to absorb what the game expects of me. My ear is untrained, and it takes some time for the cacophonous assault to coalesce into a form I can properly comprehend. But then a switch is flicked, I begin to separate out melody and harmony and tone and rhythm. And when I fuse them together again, it’s no longer an aural abnormality. Wow, it comes with painted minis? Nope. But don’t they look awesome? It’s a moment I struggle to identify as being so texturally present in other forms of entertainment. It’s that moment in a Point ‘n Click adventure game where you finally figure out how the bread crumbs and rubber duck are the solution, or getting 100% for your morning CogniFit smart phone session. Well, you know, if CogniFit is jazzy elevator music and Cyclades is Miles Davis. I’m not saying Cyclades is in fact Miles Davis, but it’s a useful comparison. Unlike beating Grim Fandango or CogniFit, the best boardgames make sure to use the most important ingredient of all – other players. Because as soon as the puzzle pieces have fallen into place, and you’re able to start plotting your path to victory, Stuart (just a random name, of course) marches his army across the Aegean and lays waste to your undefended Metropolis. It’s a beautiful thing to witness the mechanics of a game unfold, like a computer looping a plotted fractal. And as the complexity of a game increases, so does my admiration for how carefully balanced the design is. We’ll most certainly be doing a review of Cyclades soon, but hopefully my eulogising will resonate with those who have played and loved the game. Not because my praise is unique to this game, but rather that my reverence for the experience of participating in such meticulous invention is a shared one. 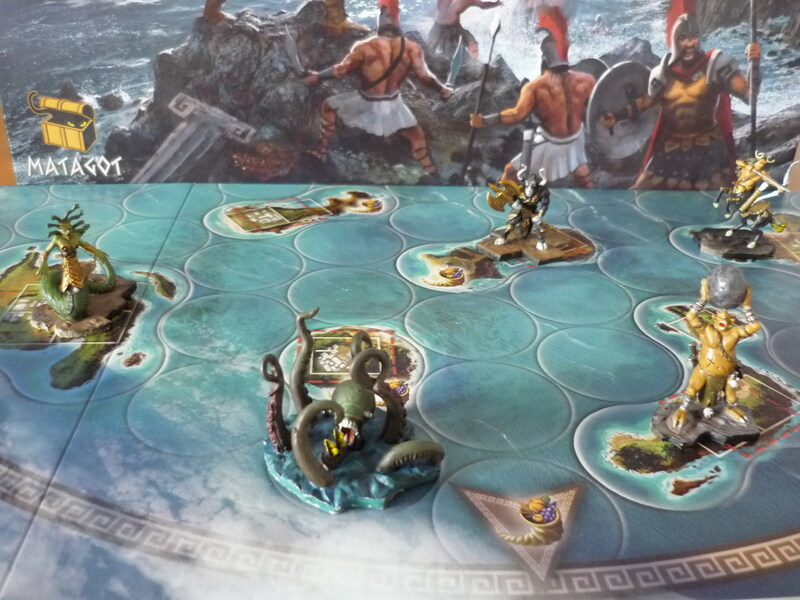 Cyclades is not without potential drawbacks, the most evident of which is that given the random nature of Gods on offer in a particular round, as well as the certainty that your opponents will do everything they can to halt your victory procession, the final rounds might become labyrinthine. But I wonder whether, in our case, this was due to the stubborn manner in which we all were intent on pursuing a set course of action, rather than being more flexible with our strategies. I’d love to hear from you Cyclades veterans whether this is inherently an issue with the game, or just a case of first-play missteps. 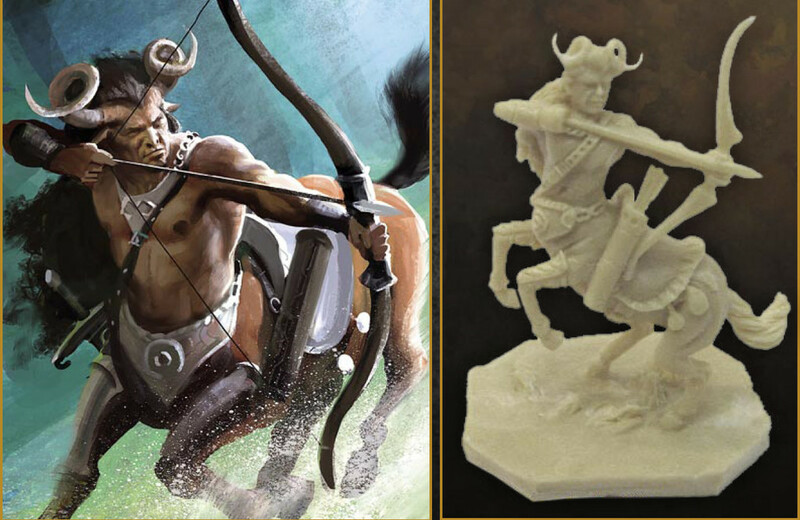 Also, let us know which Cyclades expansions have become indispensable to your sessions! I enjoy Cyclades – though for me the drawbacks are more that it’s rather static the majority of the time (largely as a result of needing the combination of Poseidon and Areas to launch an invasion), and the game always ends quicker than expected, with little fanfair. While there’s obviously a beginning and middle portion to the game, there’s little there in terms of climax. I really enjoy the random allotment of the gods, though – makes the start of rounds always very interesting! As for expansions, Hades is interesting, though it does add a while bunch of extra stuff. I DEFINITELY recommend investigation into Titans, though. It REALLY changes the game quite considerably. It’s free for all team variant, with a lot more solid landmass, and the ability to use Titans to move and attack outside of getting Ares. Victory is the first team to construct three metropolis between them – though importantly the teams are always split to opposite sides of the map during set up. Yeah, this was absolutely written without my critical thinking cap on, and mainly because I do so love being reminded about how just plain clever so many boardgames can be. That interplay between keeping everyone invested, rewarding risk but punishing cockiness. But I do want to play Cyclades again, for sure. And Kemet. Not enough time, sigh. Stuart played Kemet on Wednesday. He may or may not have said, if pressed at gunpoint, he’d choose Kemet. Yeah, I saw – though obviously I’d need to play it first before I agree or not.